As they say, grab the bull by the horns. 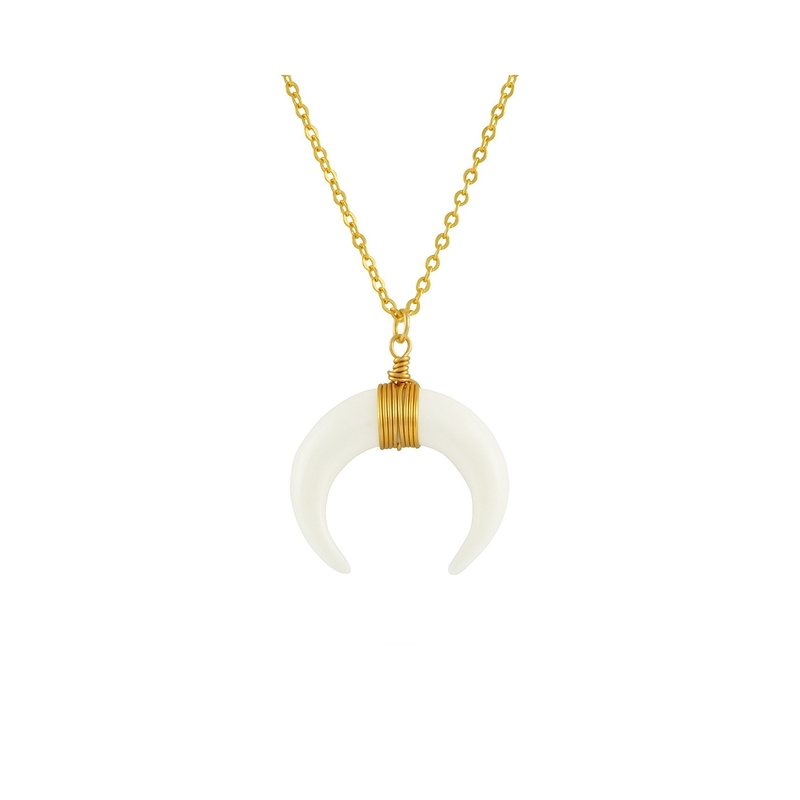 If you’re a go-getter, task-conquering and obstacle-smasher, then you need a powerful necklace to illustrate that to the world. 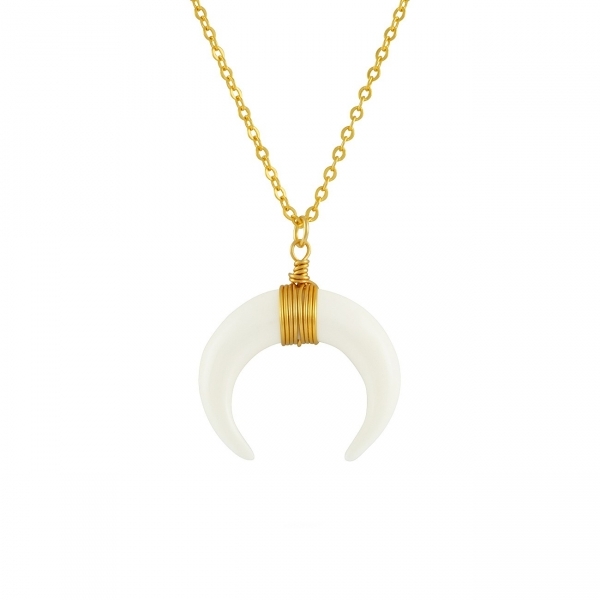 We’ll see you roar in this 14K gold-filled necklace with a bovine bone horn pendant wrapped in gold wire. Currently dominating the accessories world, this tribal-inspired design also has antique appeal which makes it a timeless favourite. Smaller version is also available.